Below are some interesting articles regarding Anglo American’s commitment to sustainability and cleaning up mines…………..
“JOHANNESBURG (miningweekly.com) – Diversified mining company Anglo American has outlined an innovative approach to three major areas of sustainability – the environment, community development, and driving greater trust and transparency across the mining industry. Reducing freshwater abstraction by 50% in water-scarce regions. “Delivering on these commitments will transform the way Anglo American does business,” said Anglo American CEO Mark Cutifani in a release to Creamer Media’s Mining Weekly Online. Presenting a different picture of the future of mining, the sustainability strategy commits to keeping people and the environment safe, supporting excellent education and using collaborative regional development to provide sustainable benefits for host communities. “The financial benefits to our business by 2030 are expected to be significant, including from substantially reduced energy and water costs. At the same time, we expect our innovative approach and the technologies we are developing to open up new mineral resource opportunities for us over the medium term,” Cutifani added. The sustainability strategy acknowledges metals and minerals as precious ingredients that enable and celebrate many aspects of modern life. “If Anglo American is to play its part in creating a sustainable future for the world and improving the lives of all of us who live here, then we must be prepared to challenge our business and ourselves, by re-imagining mining,” he said. Anglo American’s sustainability strategy is part of FutureSmart Mining™, a blueprint for a safer, more sustainable and efficient business that is better harmonised with the needs of host communities. “LONDON – Mining is a dirty business, but Anglo American CEO Mark Cutifani says it doesn’t have to be. The miner of everything from copper to diamonds to iron ore is overhauling its sustainability targets, and predicts it can earn an extra $9-billion through 2030 by improving the way it mines and boosting relations with governments and communities. Companies around the world are facing increased pressure to improve, and not just from ethical investors. Cutifani was among CEOs who received an open letter from BlackRock’s CEO Larry Fink in January in which he called for companies to set out strategies for long-term, sustainable growth. “To prosper over time, every company must not only deliver financial performance, but also show how it makes a positive contribution to society,” Fink wrote. Anglo’s nine new targets range from reducing freshwater usage by 50% and cutting greenhouse gas emissions by 30%, to less tangible goals such as improving accountability and policy advocacy. The company will spend about $200-million a year on the sustainability goals, which also include health, education and livelihood programs, such as creating five jobs in a region where it operates for every direct employee. Anglo has worked hard to reposition itself in the past decades. Once the corporate face of apartheid South Africa, the company was the country’s largest conglomerate and owned everything from banks to paper factories. In recent years, it’s managed to avoid the type of controversy that embroiled rivals like BHP Billiton and Vale, which had licences to a Brazilian iron-ore project stripped after a dam rupture that killed 19, or Rio Tinto, which is facing corruption and fraud probes related to African mines. Yet things still go wrong. Just yesterday, the company halted some operations at its iron-ore mine in Brazil after a pipeline rupture. Anglo says it’s trying to identify the cause of the spill and guarantee that it did not inflict serious environmental damage to the surrounding area and a nearby water supply. 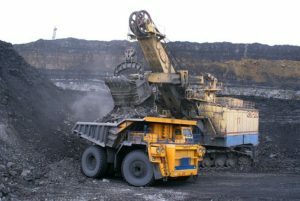 Anglo also remains one of the world’s biggest producers of thermal coal, the dirtiest fuel, which has become a focus for many of the investors who are likely to be impressed by the company’s ambitious targets. Anglo said during the depths of the last commodity slump in early 2016 that it would sell out of coal, but has reversed course after a dramatic rebound in prices. While production has fallen more than 20% in the past five years, including for steelmaking coal, the fuel was still the single biggest contributor to the company’s earnings last year, adding almost $3-billion. There are a lot of toxins in the air that can cause lung damage, here is an article describing the top 5 and then below is an article from the same source with tips for keeping your lungs clean. I hope you find these articles informative and helpful. They were both written by Dr. Edward Group (DC, NP, DACBN, DCBCN, DABFM) and sourced from Global Healing Centre. “A major part of how healthy we are comes from how clean the air we breathe really is. Fumes and carcinogens from factories and automobile exhaust, and tons of other harmful gases are all around us. These are dangerous molecules to inhale, and they also decrease the actual amount of oxygen in the air. Now, consider this: most of our airborne toxins are inhaled while we’re inside because we spend most of our lives indoors whether it’s in offices, homes, schools, churches. I highly recommend cleansing the air in your home with the REME+ advanced air purification unit. I also suggest regular lung cleansing with a product such as Allertrex®. “Keeping your body clean on the inside is one of the best things you can do to stay healthy and, as such, many people regularly perform colon cleansing and liver cleansing routines. Harmful organism cleanses and toxic metal cleanses are also common, beneficial, and recommended. But did you know there are measures you can take to keep your lungs clean too? It’s important to have healthy lungs, as a pair, they’re one of the most active organs in the body and certainly one of the most important. We can go weeks without food, and days without water… but not very long without air. Here are 6 easy tips you can implement right away to keep your lungs at peak performance. Here is an article from Sustainable Build written by Jennifer Gray regarding pollution from construction – I hope you enjoy the read! “The construction industry is a major source of pollution, responsible for around 4% of particulate emissions, more water pollution incidents than any other industry, and thousands of noise complaints every year. Although construction activities also pollute the soil, the main areas of concern are: air, water and noise pollution. Construction activities that contribute to air pollution include: land clearing, operation of diesel engines, demolition, burning, and working with toxic materials. All construction sites generate high levels of dust (typically from concrete, cement, wood, stone, silica) and this can carry for large distances over a long period of time. Construction dust is classified as PM10 – particulate matter less than 10 microns in diameter, invisible to the naked eye. Research has shown that PM10 penetrate deeply into the lungs and cause a wide range of health problems including respiratory illness, asthma, bronchitis and even cancer. Another major source of PM10 on construction sites comes from the diesel engine exhausts of vehicles and heavy equipment. This is known as diesel particulate matter (DPM) and consists of soot, sulphates and silicates, all of which readily combine with other toxins in the atmosphere, increasing the health risks of particle inhalation. Diesel is also responsible for emissions of carbon monoxide, hydrocarbons, nitrogen oxides and carbon dioxide. Noxious vapours from oils, glues, thinners, paints, treated woods, plastics, cleaners and other hazardous chemicals that are widely used on construction sites, also contribute to air pollution. Sources of water pollution on building sites include: diesel and oil; paint, solvents, cleaners and other harmful chemicals; and construction debris and dirt. When land is cleared it causes soil erosion that leads to silt-bearing run-off and sediment pollution. Silt and soil that runs into natural waterways turns them turbid, which restricts sunlight filtration and destroys aquatic life. Surface water run-off also carries other pollutants from the site, such as diesel and oil, toxic chemicals, and building materials like cement. When these substances get into waterways they poison water life and any animal that drinks from them. Pollutants on construction sites can also soak into the groundwater, a source of human drinking water. Once contaminated, groundwater is much more difficult to treat than surface water. 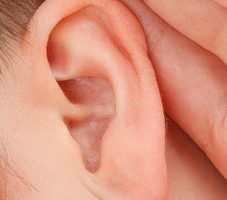 Construction sites produce a lot of noise, mainly from vehicles, heavy equipment and machinery, but also from people shouting and radios turned up too loud. Excessive noise is not only annoying and distracting, but can lead to hearing loss, high blood pressure, sleep disturbance and extreme stress. Research has shown that high noise levels disturb the natural cycles of animals and reduces their usable habitat. To prevent erosion and run-off, minimise land disturbance and leave maximum vegetation cover. Control dust through fine water sprays used to dampen down the site. Screen the whole site to stop dust spreading, or alternatively, place fine mesh screening close to the dust source. Cover skips and trucks loaded with construction materials and continually damp down with low levels of water. Cover piles of building materials like cement, sand and other powders, regularly inspect for spillages, and locate them where they will not be washed into waterways or drainage areas. Segregate, tightly cover and monitor toxic substances to prevent spills and possible site contamination. Cover up and protect all drains on site . Collect any wastewater generated from site activities in settlement tanks, screen, discharge the clean water, and dispose of remaining sludge according to environmental regulations. Use low sulphur diesel oil in all vehicle and equipment engines, and incorporate the latest specifications of particulate filters and catalytic converters. No burning of materials on site. 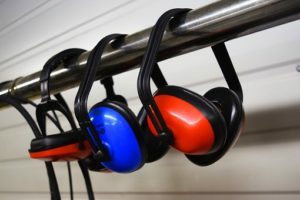 Reduce noise pollution through careful handling of materials; modern, quiet power tools, equipment and generators; low impact technologies; and wall structures as sound shields. “Construction sites are found both within urban and rural areas, often in the close proximity of homes. Due to their proximity to homes and the materials used, construction sites may generate home pollution. This involves air, water, soil, and/or noise pollution. Additionally, construction work may reveal existing subsurface pollution. In such situation, construction work is stopped and costly remediation is needed. Thus, construction work may generate construction pollution problems affecting both homeowners and construction site owners. Moreover, construction workers (especially in the past) may be exposed to pollution. These aspects will be discussed in more details below, along with tips and measures to prevent and face pollution, as well as to recover the costs. Air pollution – the air you breathe may be polluted due to the construction work. Apart from the noise, poor air quality is the most immediate pollution effect you may experience from a construction site. This means that airborne contaminants including contaminated particulate matter and volatile compounds are spreading around (mostly carried by wind) in the surrounding neighborhood (the main wind direction will influence the area most affected by air pollution around a construction site). Contaminants spreading around in air can travel large distances in a short time. The main construction contaminants that spread around by wind include PM10 (particulate matter with a diameter less than 10 microns generating polluted dust), PAHs bound to particulate matter, VOCs (volatile organic compounds), asbestos, gases such as carbon monoxide, carbon dioxide, and nitrogen oxides. Water pollution – the surface water runoff and the groundwater close to a construction site become polluted with various materials used in the construction work. As described for air pollution above, the following construction contaminants can pollute the water: VOCs, paints, glues, diesel, oils, other toxic chemicals, and cement. The immediate effect is creating turbidity in the runoff water and affected surface and groundwater (since some of the runoff water may infiltrate in the subsurface reaching the groundwater. In fact, both groundwaters below your home and surface runoff close to your home may constitute a source of pollution emanating from the construction sites. Domestic animals and pets may drink contaminated water and soil may become contaminated too. Additionally, once the groundwater below your home becomes contaminated, it may affect you in the following ways: through direct consumption if you use water from a property well, and indirectly by affecting the quality of your indoor air (vapor intrusion of the volatile contaminants from water). Overall, water pollution from construction sites is underestimated and has potential to generate severe environmental problems. Soil pollution – soil at and around a construction site may become contaminated due to air transport followed by deposition of construction contaminants (listed at air pollution) as well as water runoff of construction contaminants (as listed for water pollution). Soil may constitute a sink for pollutants and some of those may accumulate in soil and persist over longer periods of time (e.g., PAHs). Noise pollution – noise is usually associated with construction work although modern preventive measures may substantially reduce the amount of noise (in the neighboring community). Noise may adversely affect your health, including effects such as stress, sleep disturbance, high blood pressure and even hearing loss. Personal damage. From the perspective of the public, the best prevention is to spend as little time as possible outside (e.g., in your yard or balcony) close to a construction site during operation time. Additionally, having a rich vegetation around your home (and between the home and the construction site) will act as a natural filter for the generated pollution, reducing the amount of pollution you may come in contact with. So, planting in your yards or even potted plants in a balcony can help. The greener the better. Also, regular spraying of water around the home will reduce the amount of dust and exposure through inhalation, although the soil and water pollution may increase (but these are affecting you less directly than air!). 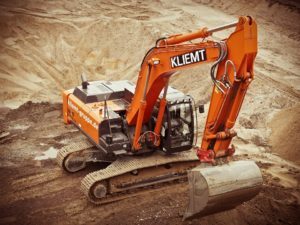 However, if you believe you are already negatively impacted by a construction site in the vicinity, especially if you have been recently diagnosed with a medical condition involving the respiratory system, you may be entitled to compensation. Hope you enjoyed the read! Enjoy your day. Most often, we think of dust simply as the stuff that accumulates on our windowsills, but those fine particles floating in the air play an important role in the global climate system. If there’s anything that just about sums up the desperation of the Great Depression in one filthy package, it’s photos of the Dust Bowl, when over-farming resulted in roving dust storms choking large swathes of the Great Plains region. Now, scientists are projecting that climate change could bring those hardscrabble days to a dystopian landscape near you. Exposure to the dust itself is, obviously, very unpleasant but is also linked to a wide variety of respiratory and other ailments, including the possibility of potentially deadly pathogens and agricultural chemicals like fertilizer and pesticide hitchhiking on the storms. The original Dust Bowl accelerated the flight of hundreds of thousands of people from 19 states in the region; the storms were so bad cattle and residents choked from “dust pneumonia,” residents were forced to dust-proof homes and static electricity stalled cars and charged random metal objects. 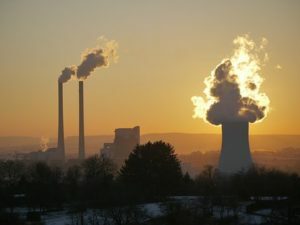 The new data is merely preliminary, according to Princeton researcher Bing Pu, but it lays the groundwork for the climate community to gauge the level of the threat. The finding is valuable for western water managers and advances our understanding of how freshwater resources, in the form of snow and ice, will respond to warming temperatures in the future. By improving knowledge of what controls the melting of snow, it improves understanding of the controls on how much solar heat Earth reflects back into space and how much it absorbs — an important factor in studies of weather and climate. When snow gets covered by a layer of windblown dust or soot, the dark topcoat increases the amount of heat the snow absorbs from sunlight. Tom Painter of NASA’s Jet Propulsion Laboratory in Pasadena, California, has been researching the consequences of dust on snowmelt worldwide. This is the first study to focus on which has a stronger influence on spring runoff: warmer air temperatures or a coating of dust on the snow. 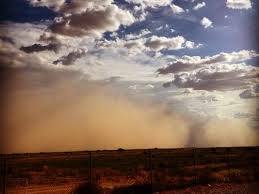 Windblown dust has increased in the U.S. Southwest as a result of changing climate patterns and human land-use decisions. With rainfall decreasing and more disturbances of the land, protective crusts on soil are removed and more bare soil is exposed. Winter and spring winds pick up the dusty soil and drop it on the Colorado Rockies to the northeast. Historical lake sediment analyses show there is currently an annual average of five to seven times more dust falling on the Rocky Mountain snowpack than there was before the mid-1800s. Painter and colleagues looked at data on air temperature and dust in a mountain basin in southwestern Colorado from 2005 to 2014, and streamflow from three major tributary rivers that carry snowmelt from these mountains to the Colorado River. The Colorado River’s basin spans about 246,000 square miles (637,000 square kilometers) in parts of seven western states. 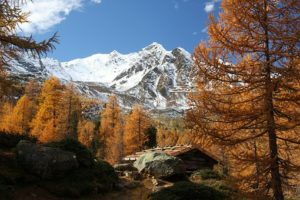 The researchers found that the effects of dust dominated the pace of the spring runoff even in years with unusually warm spring air temperatures. Conversely, there was almost no statistical correlation between air temperature and the pace of runoff. “We found that when it’s clean, the rise to the peak streamflow is slower, and generally you get a smaller peak.” Painter said. “When the snowpack is really dusty, water just blasts out of the mountains.” The finding runs contrary to the widely held assumption that spring air temperature determines the likelihood of flooding. Coauthor McKenzie Skiles, an assistant professor in the University of Utah Department of Geography, said that while the impacts of dust in the air, such as reduced air quality, are well known, the impacts of the dust once it’s been deposited on the land surface are not as well understood. “Given the reliance of the western U.S. on the natural snow reservoir, and the Colorado River in particular, it is critical to evaluate the impact of increasing dust deposition on the mountain snowpack,” she said. The study, titled “Variation in rising limb of Colorado River snowmelt runoff hydrograph controlled by dust radiative forcing in snow,” was published today in the journal Geophysical Research Letters. Coauthors are from the University of Utah, Salt Lake City; University of Colorado, Boulder; and University of California, Santa Barbara.